Lady Gaga, the stage name for Stefani Germanotta, appears in a video interview in the VOA studios by Larry London. She discusses her smash debut CD, The Fame Monster, which alone has produced four Number One Billboard Pop Songs chart hits. This achievement set a new record, overtaking albums by Ace of Base and Avril Lavigne, each having three songs in that category from a single CD. 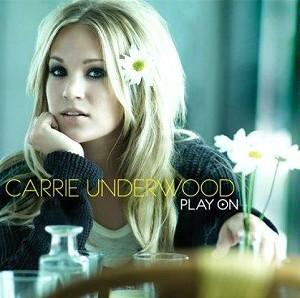 For her album, the artist received nominations for nine MTV Awards, and for five American Music Awards, including Artist of the Year. It is interesting to note that three different versions were released--regular, deluxe, and limited. Click here to listen to samples. The National World War II Museum in New Orleans is the subject of another VOA video feature, focusing on a stage presentation of the music and dance of that era. In his report, Greg Flakus interviews the Museum's Entertainment Manager, Victoria Reed, who says the museum's theater, the Stage Door Canteen, was modeled on establishments of the same name created in various American cities and abroad for lonely U.S. servicemen during the war. The piece includes several examples of 1940's music and dance. Carrie Underwood, who was the year's finalist in the 2005 season of the blockbuster TV series Americal Idol, has released her third CD, Play On, which is her third album in a row to debut (in the first week of its release) at Number One on Billboard's Country music chart. Listen to Mary Morningstar's radio report on the CD; excerpts from the tracks from the album can be heard here. Southern Voice, by country singer Tim McGraw, is introduced in another radio feature by Mary Morningstar. The release of the CD, which has McGraw performing with his band, The Dancehall Doctors, had been delayed for three years because of the artist's dispute with the record company. McGraw waited three years for the release of his new album. In addition to his singing career, Morningstar notes, he has just appeared in his fifth movie, The Blind Side, starring Sandra Bullock, and that in the new year he'll begin filming another film with Gwyneth Paltrow. Click here to hear excerpts from Southern Voice. The List, by Rosanne Cash, daughter of the late legendary Johnny Cash, is featured in another radio piece as Mary Morningstar rounds out her trio of country music reports. As Morningstar notes, "Rosanne was riding on Johnny's tour bus in 1973, when he discovered that his 18-year-old daughter was unfamiliar with the many songs that shaped Country music. Johnny wrote down his list of '100 Essential Country Songs' and told her she should learn them all". The album, released in both CD format and as a vinyl disc, is Rosanne's tribute to her father's list (click here to listen to excerpts), and includes songs by Harlan Howard, Merle Haggard, and Bob Dylan, and features duets with Elvis Costello, Wilco's Jeff Tweedy, Rufus Wainwright, and Bruce Springsteen. Charles Darwin's seminal book, On The Origin of Species, was published 150 years on on 24 November 1859. As noted in a radio interview and report by Mike O'Sullivan in Los Angeles, historian and author Richard Milner has devoted his career to promoting Darwin's work in writings (Milner has released a new book, Darwin's Universe)as well as in lecturers and one-man musical show, "Charles Darwin: Live & In Concert", in which he reflects, in a humorous fashion, on the scientist's achievements through songs, excerpts of which can be heard in the report. 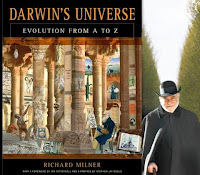 You can learn more at Milner's Website, www.darwinlive.com. Singer Rod Stewart, 64, has released a new album, Soulbook, in which he revisits a range of soul music hits from the 1960's and 1070's. Doug Levine reports on the album, which include Stewart's collaborations with Smokey Robinson and Stevie Wonder, artists who had major hits during that period. 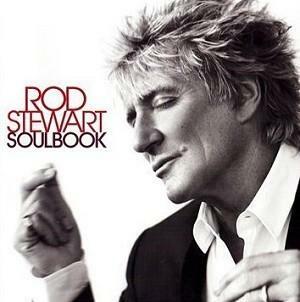 Stewart also sings songs made famous by Sam Cooke, the Isley Brothers, Gladys Knight, Marvin Gaye, and The Temptations. Click here to listen to excerpts of Stewart's songs. Finally, Levine also profiles The Chick Corea Songbook, a new release by the forty-year-old unique supergroup Manhattan Transfer, observing that the quartet, "known for their vocal gymnastics on albums ranging from pop to swing . . relied on their signature jazz harmonies to tap into Chick's complex melodies". The feature includes excerpts from an interview with the group's Cheryl Bentyne, and two excerpts from the album. For more listening, click here.